Explore Best Property in Bangalore with Photos, Maps & Details! Buy, Sell and Rent in Bangalore with RealEstateIndia.Com! 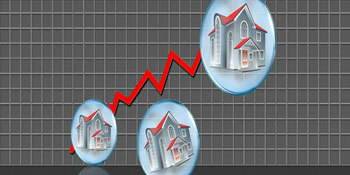 Bangalore Property Market Price Trends! Karnataka’s heart beats strong amidst the sky kissing condominiums of its own capital ‘Bangalore’. The city has received many nicknames for the different worlds it offers to the different residents. Some people call it a garden city for its “well planned open spaces”; while others refer Bangalore as “pensioner's paradise” for the lovely climate it boasts throughout the year. Many multi-national firms are headquartered in Bangalore. The excellent education system of the city is considered as the precursor to the flourishing of IT industry in the city. Currently, Bangalore houses about 47% of the 265 biotechnology companies present nationwide. If we talk about the Real Estate in Bangalore, thousands of migrants flock to the capital every year for serving their job or education prospects; leading to high demand for property in the city. Rich in infrastructure, the IT capital of the country homes the third busiest airport in the country in terms of traffic. Apart from that, Bangalore is well connected to the other parts of the country via its four major railway stations. The metropolitan transport corporation (both) buses are one of the common modes of transport used by the people and the city boasts a wide taxi and air-conditioned Volvo bus network to add on to the ease of the commuters. City’s metro system is soon going to be fully operational, which would connect Yeshwanthpur, Hebbal, Marathahalli, and Sarjapur after its commencement. A 41-km monorail project that would run from hebbal to JP Nagar is also proposed and would soon come under implementation. Bangalore is said to be one of the most populous cities in the country. The city’s population has increased from 5.1 million in 2001 to 8.4 million in 2011, showing a population increase of over 65.2 percent. The population density of the city is 4,381 people per square km. Bangalore is said to be one of the most sought after cosmopolitan cities for its pulsating nightlife, diverse cuisine, music, street food and film industry. Bengaluru is one of the best cities countrywide for a music freak. A person could witness umpteenth rock concerts within the precincts of Bangalore. One could shop to his/her heart’s content in the areas like Whitefield, which have major shopping avenues like Grandmall and Marketcity. Bangalore has hubs like whitefield, where you can find major shopping avenues. The city is often referred as the pub capital of India and houses many clubs and bars in its precincts. There are also indoor snow theme parks, for ex- snow city, which is one-of-its-kind in India. Some Key Localities in Bangalore are: Whitefield, Yelahanka, Indiranagar, Sarjapur Road, Koramangala, Marathalli, BTM Layout, Bannerghatta Road, Electronic city, Hennur Road, Hosur Road, J P Nagar, Hebbal, etc. One of the most peculiar features of Bangalore Real Estate is the projects presented by the developers. The builders give their best shot and present the investor with a property that matches world class standard. Some of the renowned builders in Bangalore are: Vaswani Group, Godrej Properties, Embassy Group, Sattva Group, Century Real Estate, etc. 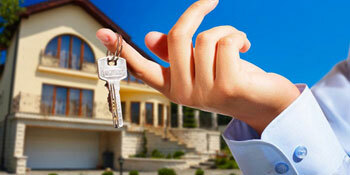 One can find a wide range of Property for sale in Bangalore. From affordable to luxury, and from residential to commercial, one can find all kinds of properties at great deals in Bangalore. Bangalore Development Authority OR ‘BDA’ has invited applications for the allotment of 3280 flats in multiple housing projects. These projects will be located in different areas of Bangalore. The registration for the scheme has been commenced from 13 January 2016. It is a new housing scheme from BDA Bangalore. 3 BHK / 1780 Sq.ft. 2 BHK / 1095 Sq.ft. 3 BHK / 3455 Sq.ft. 3 BHK / 1913 Sq.ft. 7 BHK / 12000 Sq.ft. 4 BHK / 2850 Sq.ft. 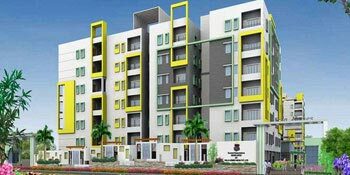 2 BHK / 1080 Sq.ft. 4 BHK / 2080 Sq.ft. 4 BHK / 3060 Sq.ft. 1 BHK / 2000 Sq.ft. 2 BHK / 1305 Sq.ft.